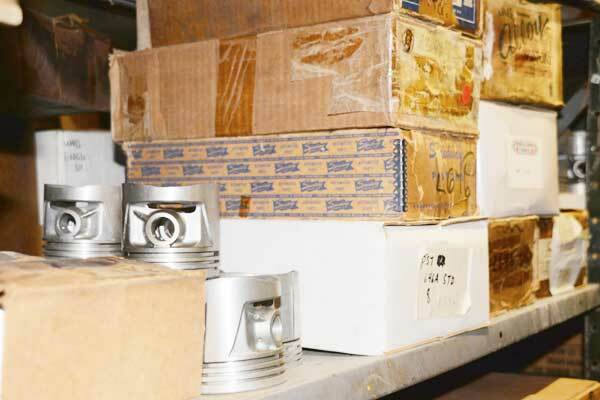 We are the largest suppliers of antique and obsolete pistons, besides carrying many NOS and NORS pistons. 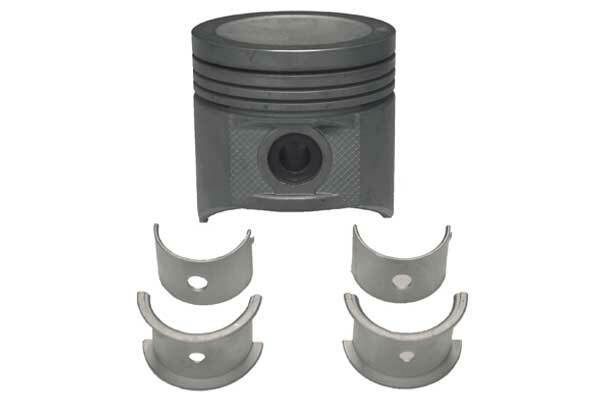 We manufacture our own line of pistons many of these being ones that were once considered obsolete. Rebuilders Choices pistons are precision machined within .001” of each other. 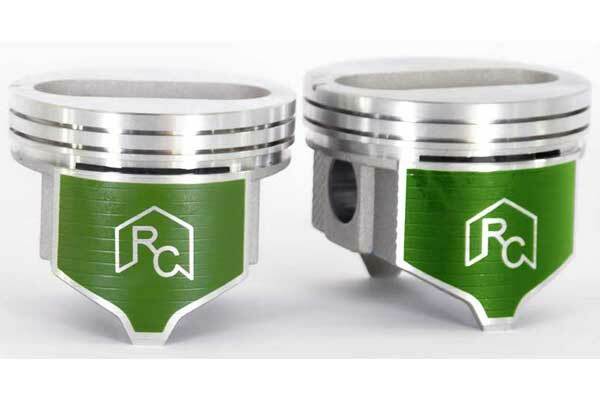 An additional feature that we have added to many of our popular pistons is an anti-scuffing coating to ensure years of reliable service. 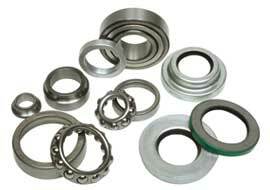 We carry every type of bearing that your engine rebuild will need. 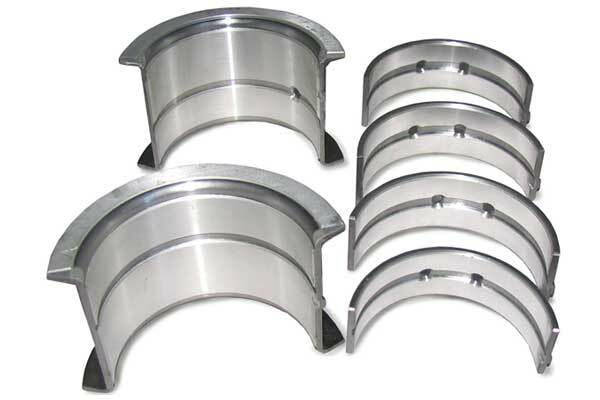 From crankshaft bearings to main bearings and cam bearings. We have your customers restoration needs covered. Now you can take on the rare and unique jobs without the worry of finding the parts to complete it. Our bearings are either NOS, NORS or brand new production using the latest in technology and modern materials to ensure many miles a of care free use in our Rebuilders Choice brand. 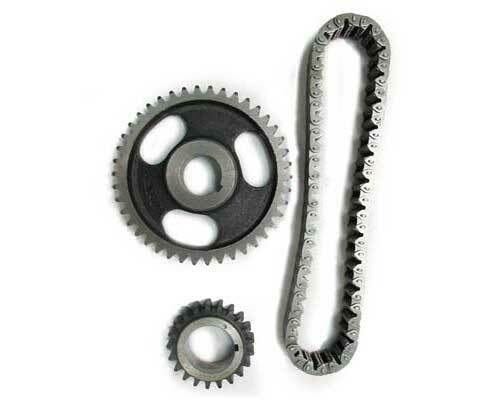 Crank gears to cam gears to the timing chains, Rebuilders Choice has the parts for the most common to the most unique of engines. 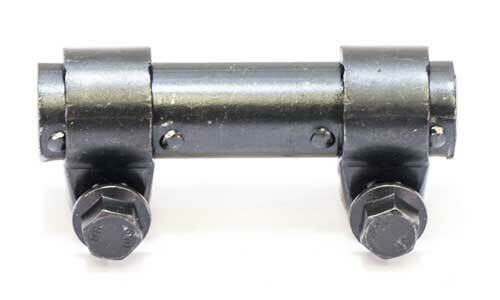 We even provide roller sets that are an upgrade to the originals for many popular engines. 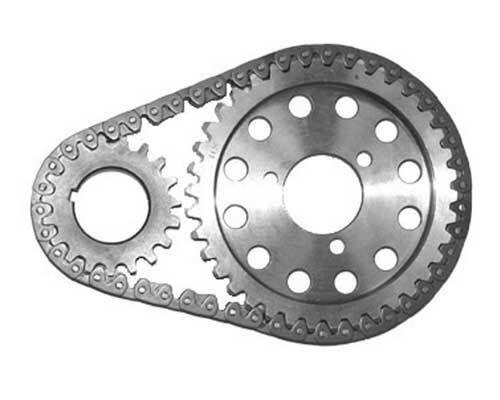 Replacing the timing set is key to a complete rebuild. These parts endure thousands of miles and revolutions. 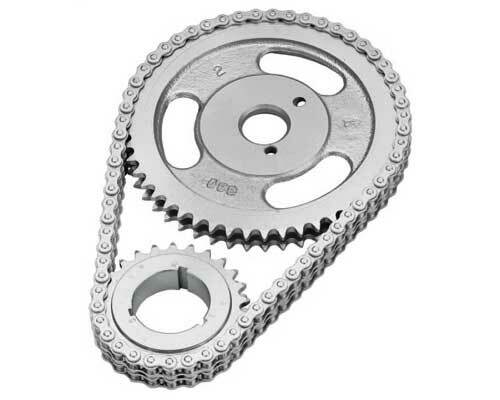 Over time the gears will wear and the chain will become slack. This in turn will affect performance, drivability and overall timing. 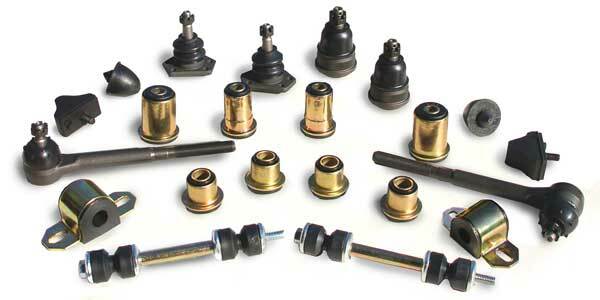 We carry a large assortment of valve train parts. 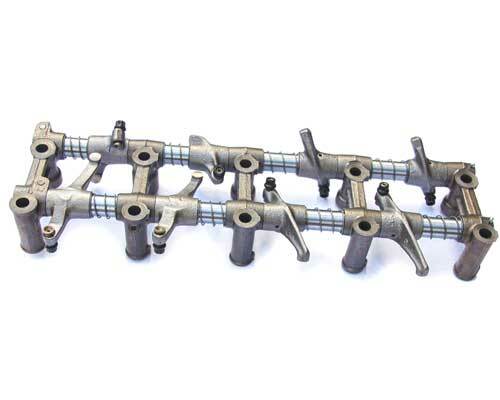 We offer valve train kit for the ultimate in savings when refreshing the upper half of your customer’s engine without breaking the bank and putting money in your profits. 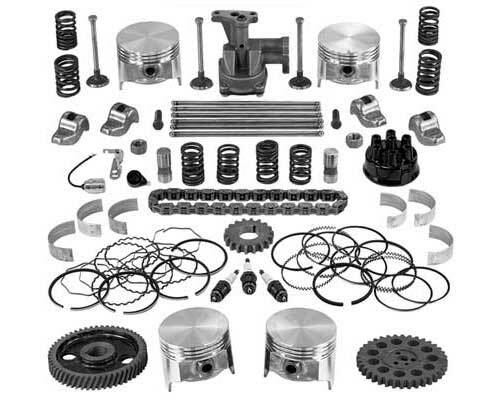 We can supply the intake and exhaust valves, valve springs, rockers, lifters and pushrods for a wide range of automobile starting as early as the 1920’s through the early 80’s. 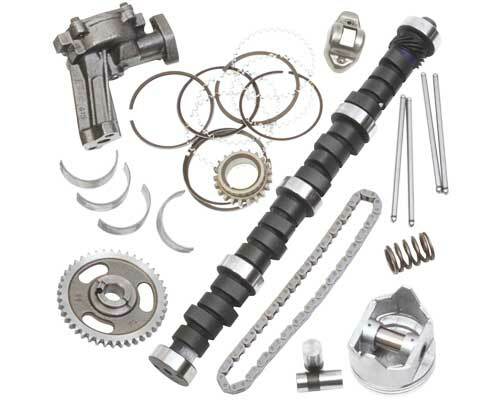 Offering a large inventory of brand new and reground camshafts in stock ready to ship. For your performance machine shop we have an array of the performance cams for early V8’s like the Cadillac 365, Oldsmobile 394 and many early Mopars. 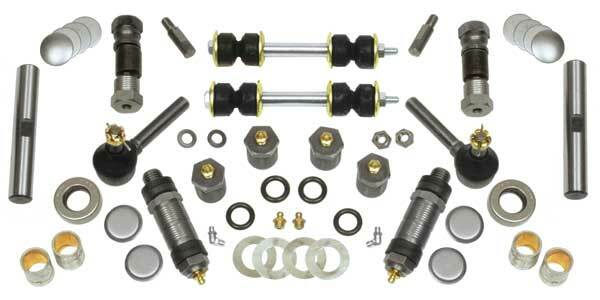 Now you can service the hot rods market with quality parts at a great price when you need them. 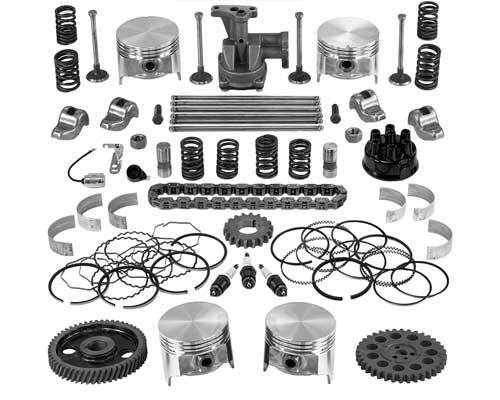 This is the complete package from one source to rebuild any antique, domestic 4, 6, or 8 cylinder engine. The days of sourcing each part of a rebuild is over. 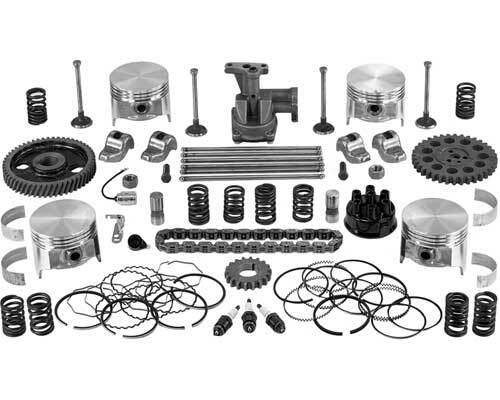 With an engine overhaul kit from Rebuilders Choice you will have all the parts you will need from one phone call. Also, with a purchase of a overhaul kit you will get the support of a staff that has over 55 years of experience serving machinist and shops like you with the hardest of questions. 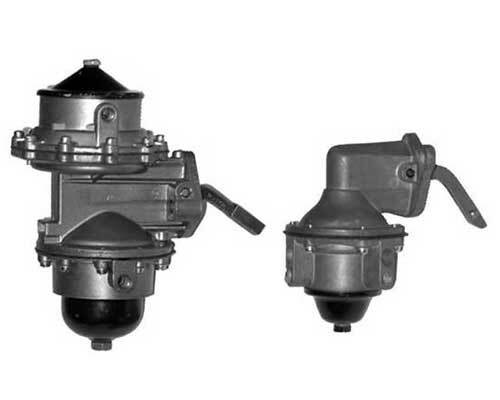 Many fine antique cars suffer from fuel pump failures each season. 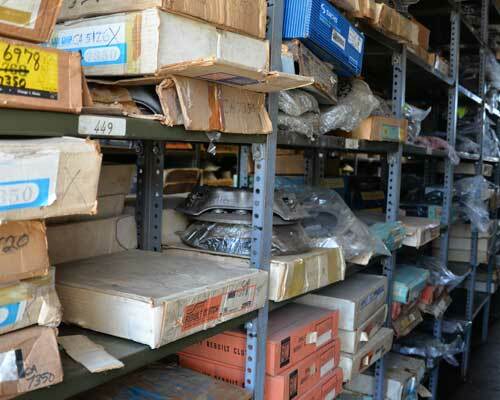 Shelf life is short on the old laminated diaphragms and the other pumps parts. 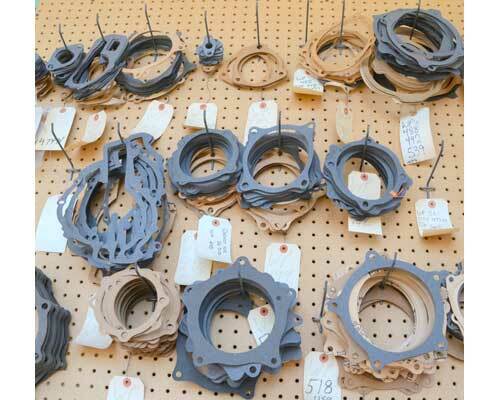 That’s why all of our pumps are rebuilt using long-life materials and parts. Why risk a breakdown for your customer or even poor performance. 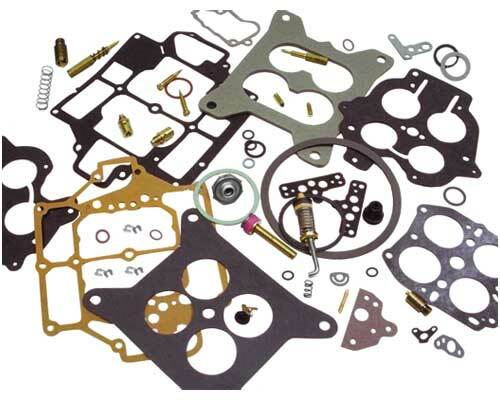 Our precision engineered kits include gaskets, seals, and the necessary parts for rebuilding your carburetor. 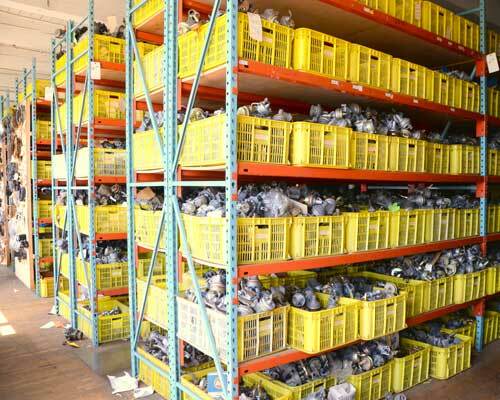 We also have a large inventory of hard to find floats as well to aid in your rebuild. 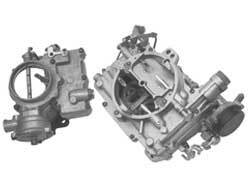 But for time savings and profitability we offer fully rebuilt carburetors ready for installation. That are set to factory setting so tuning is a cinch and both time and money are saved. 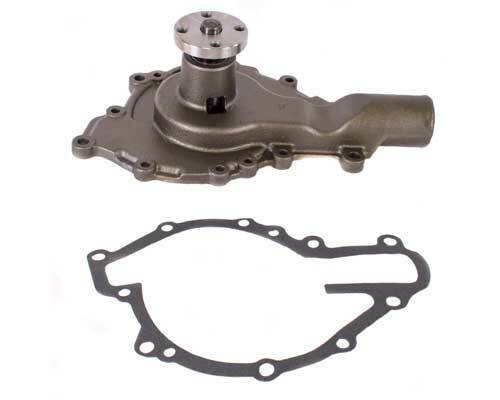 Keep the cooling system flowing strong in your customer’s car with a precision rebuild or new water pump from Rebuilders Choice. Whether you are restoring a car or rebuilding an engine or just replacing a leaky unit. 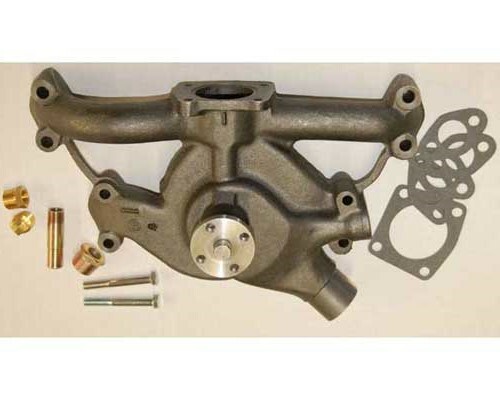 Our warranty water pumps are the best answer for cooling system efficiency and protection. 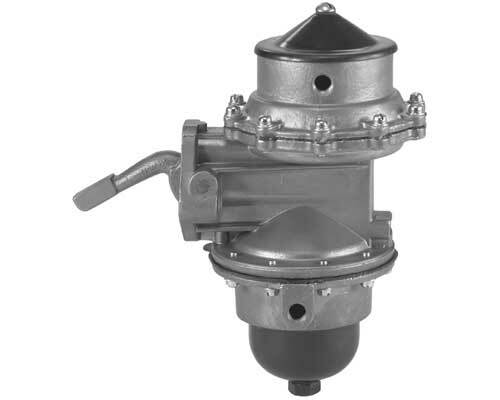 Our complete line of water pumps start as early as 1929 and continue through the late 80’s for the majority of American cars, trucks, and light industrial. 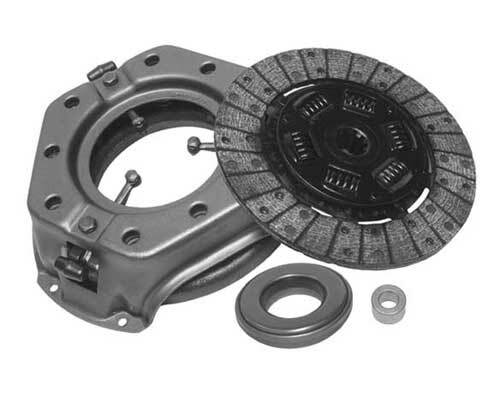 Restore new car power, smoothness and performance with a precision rebuilt clutch from Rebuilders Choice. While you’re at it-install new throwout & pilot bearings. Install with confidence knowing that the parts you are installing are the right ones to get the job done and the customer happy. 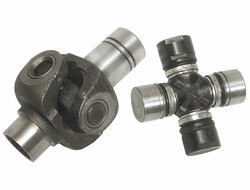 Brand new universal joints for smooth, quiet, reliable performance. 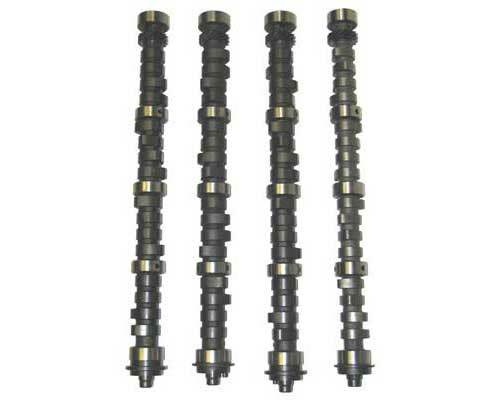 Our high quality universal joints will help to eliminate driveshaft noise and vibration, and they are back by our warranty. 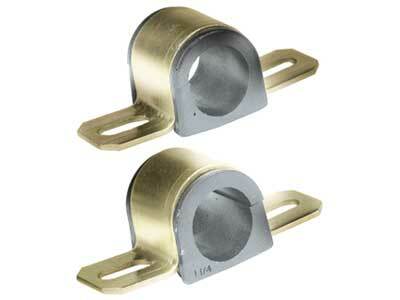 Remember, old u joints may give no warning before failure, as age, corrosion and fatigue take their toll. 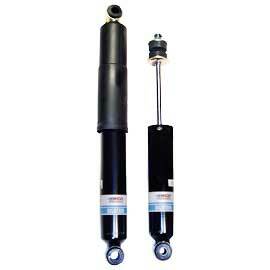 These are one of our most popular items and the most cost effective for you and your customers. We offer three types of kits our Basic kit, Deluxe kit and Super kit. 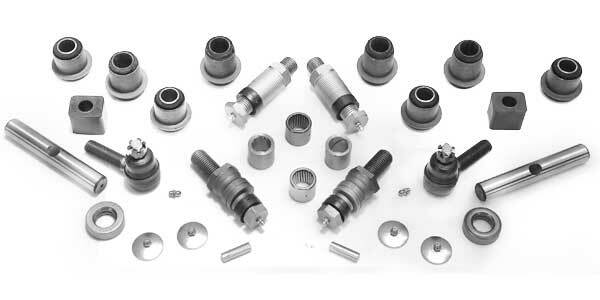 Our Basic kit includes upper and lower ball joints, control arm bushings and outer tie rod ends. This kit will get your customer back on the road in no time. 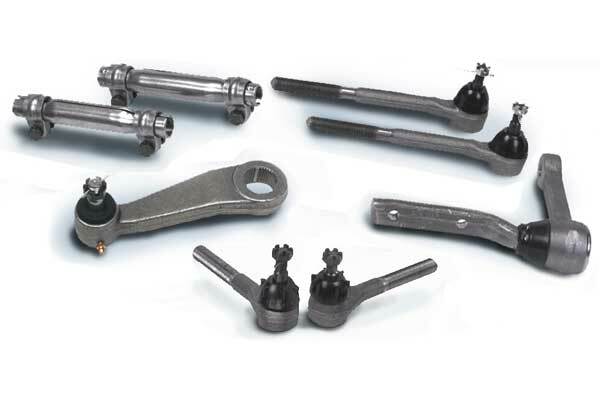 Our Deluxe kit contains every part the basic kit has plus upper and lower controls arm shafts. 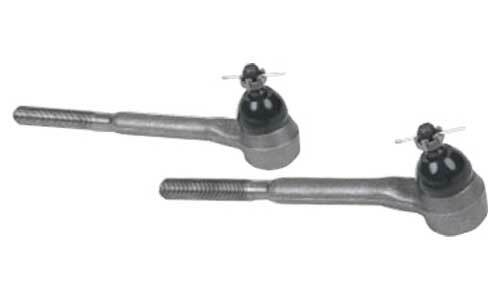 RC’s Super kit contains both the Basic and Deluxe kit but includes adjusting sleeves, inner tie rod ends and idler arm. The more extensive the kit, the greater saving’s for you and your customers. 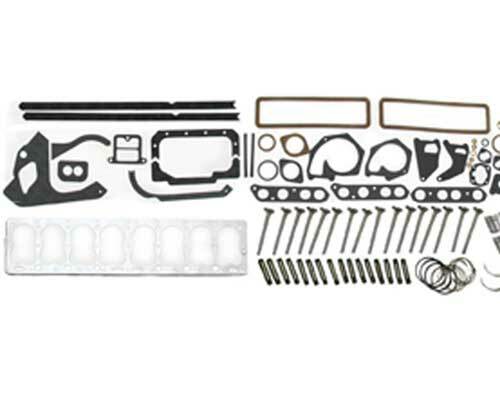 These parts collectively bought would be far more expensive than one of our front end kits. 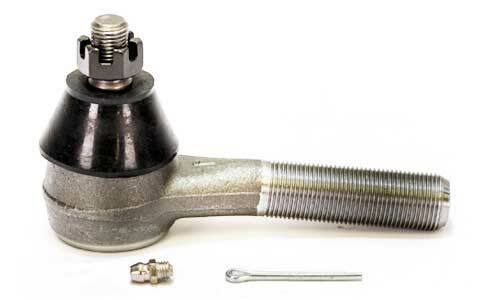 One of the most widely abused and worn sections of the front suspension are the kingpins or ball joints and tie rod ends. 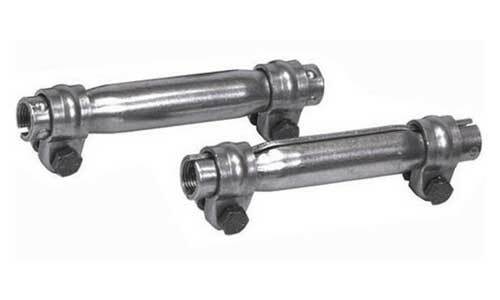 The job of these parts are to hold steady, but allow a fluid motion from left to right. After many miles and bumpy roads these too will wear and will cause misalignment, tire wear and will become unsafe to drive. 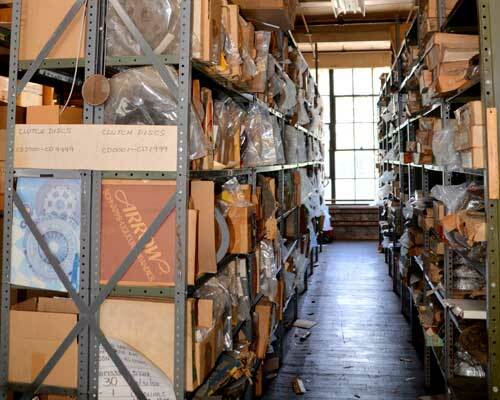 But no worries here as we have these parts available for antique and collector cars going back as early as the 1920’s. Now you have no reason to turn away a job. 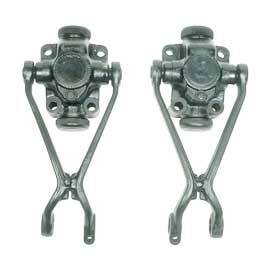 Rubber or steel Rebuilders Choice has the parts to take on the job. 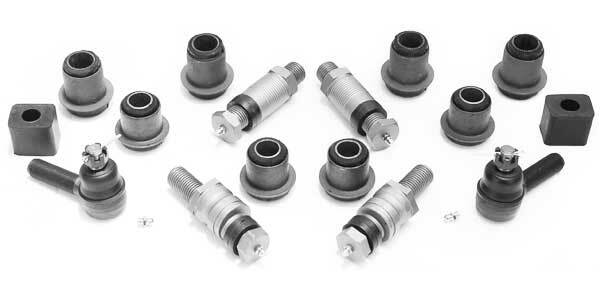 From control arm bushings to shackle bushings and even strut rod bushings we carry in stock the parts to get your customer out of your shop quickly, back on the road and you paid. 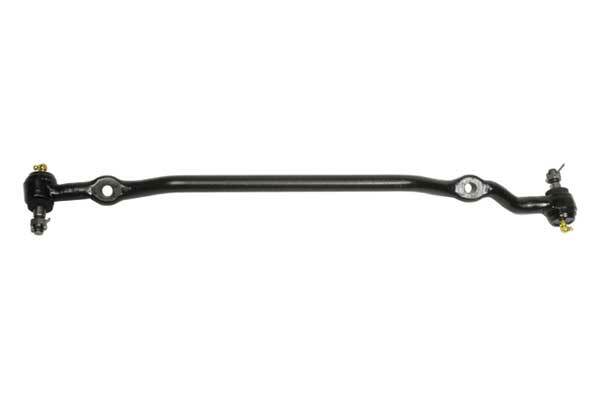 Items that rotate wear the quickest and the idler arm, pitman arm and centerlink are no exception. Sometimes finding replacements can be difficult for antique automobiles and many times shops will turn away projects of this nature due to this, but no longer. Now you can take on these jobs with confidence knowing that all the parts you need are just a phone call away. All of our parts are made to the strictest standards to ensure years of reliability and worry free miles for you and your customer. 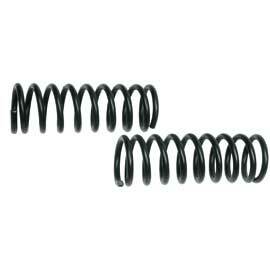 Weak and sagging springs tend to plague antique and collector cars, both in the front, as well as, in the rear. Their job is to carry the weight of the chassis and body while providing comfort, precise handling and load-bearing capability. As they wear their capability to accomplish this lessens. 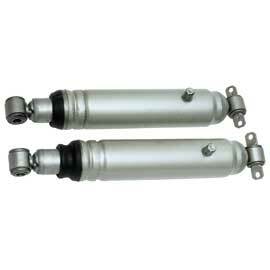 Rebuilders Choice springs and shocks are made to fit like factory and function like original. 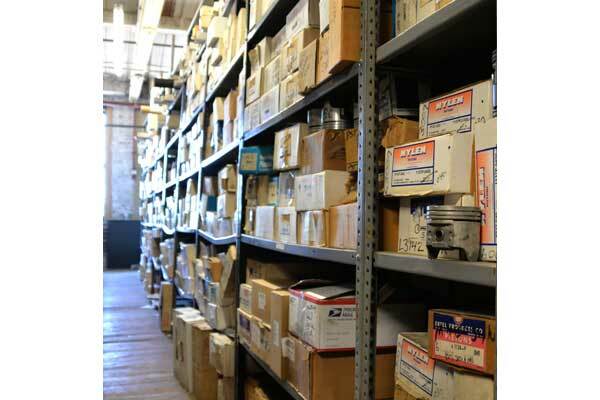 Our kits are comprised of all the necessary parts that are needed to do a complete restoration of your customer’s collector car’s brake system. 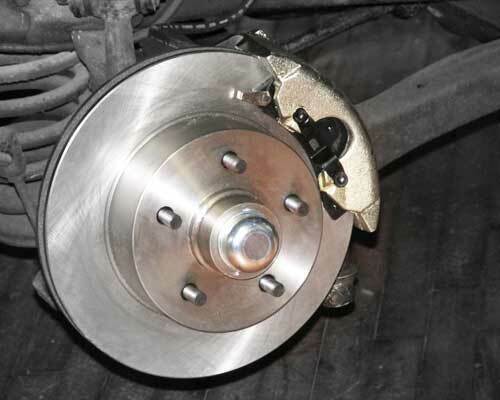 The braking system on an antique car is by far the most important area that requires annual inspection as it is the source of stopping for these 2 ton vehicles. 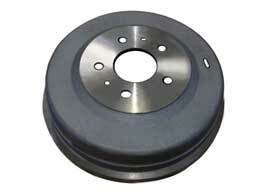 We offer two types of Brake Overhaul kit. 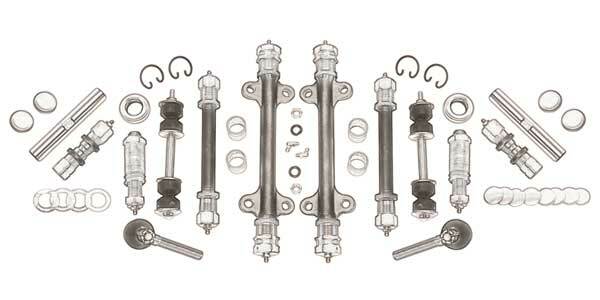 Rebuilder Choice’s Master Kit includes 2 sets of brake shoes, brake hardware, brake hose and rebuild kits for the master cylinder and wheel cylinders. This type of kit is great if the customer insists on keeping his or her wheel cylinder and master if they have a date coded correct vehicle. 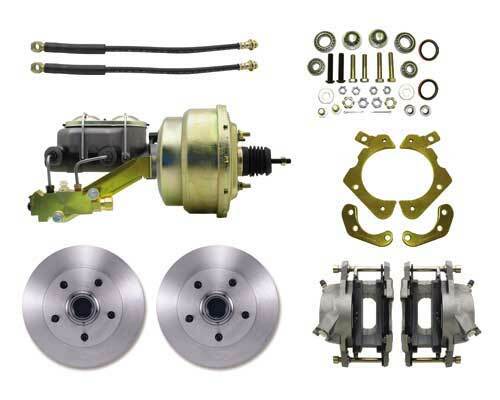 Our best seller and your most profitable kit for your shop is our Deluxe Brake Overhaul kit. 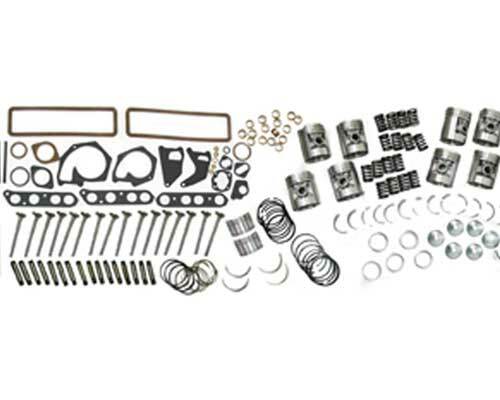 This kit contains all the parts of the Basic kit, but in addition includes the master cylinder and four wheel cylinders ready to install. 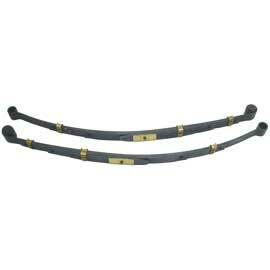 This kit will save you time on installation, which in turn will save you money and increase your bottom line. 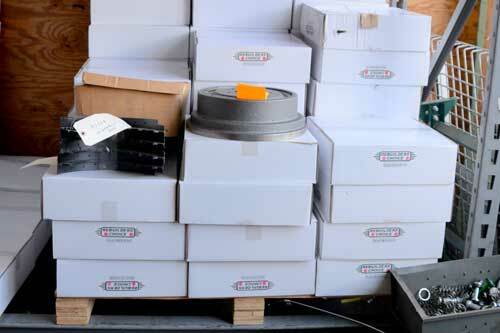 Over the years as restoration and safety standards increased, restorers have been requesting more brake drums and rotors. With the availability of NOS and NORS becoming increasingly smaller. 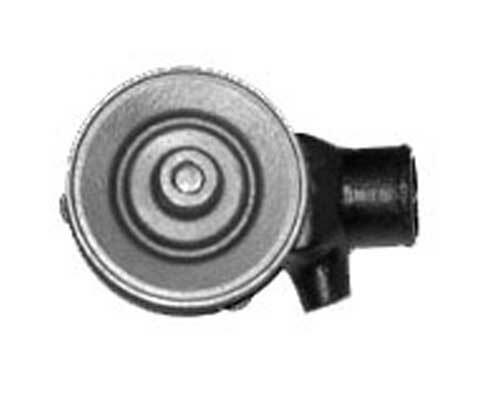 We have made a commitment to reproduce many of the popular brakes that many once found to be obsolete. 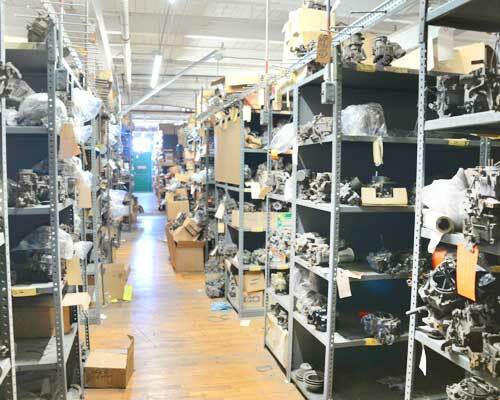 Besides our new production we also have a large inventory of NOS and NORS. For safe, sure stops, show winning looks and satisfaction of knowing that you are depending on the most trusted source in the industry. 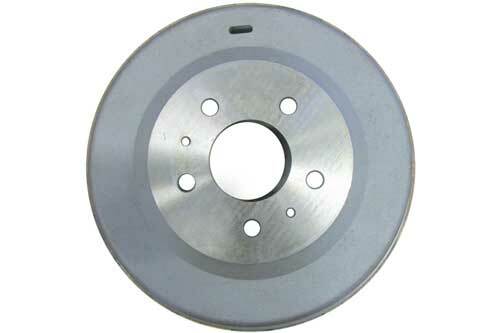 Stop with confidence when you buy a Rebuilders Choice’s Disc Brake Conversion Kit. Our kits provide you with 21st Century stopping power for your collector car, but still allow you to keep your stock wheel appearance. 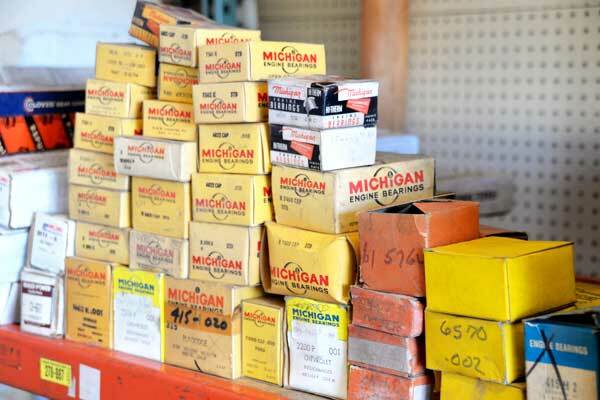 We carry a large array of kits ranging from Buick to Cadillac and Dodge to Studebaker from 1928-1984. 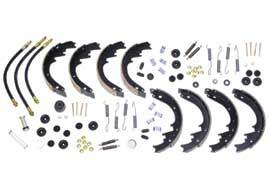 We offer two styles of kits for most vehicles; an “At The Wheels Kit” or a “Complete Kit”. Our complete kit gives you peace of mind with most applications including a tandem master cylinder, which is a safety conscious addition. 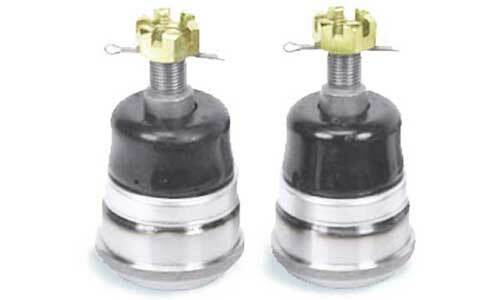 Tandem master cylinders contain twin reservoirs. 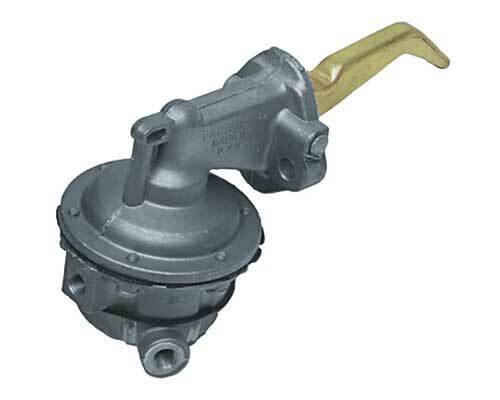 In case of a wheel cylinder or line failure, you will still have brake power to get you safely to the side of the road. 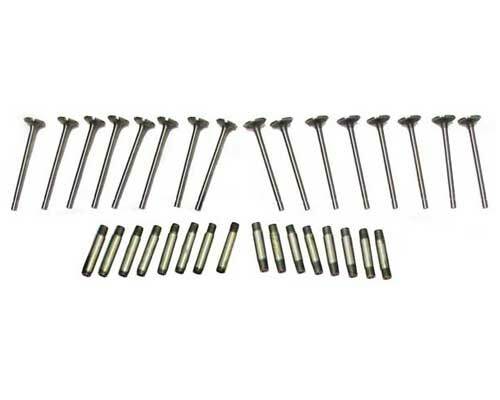 These kits can be installed with basic hand tools and the job can be completed within a day`s work. 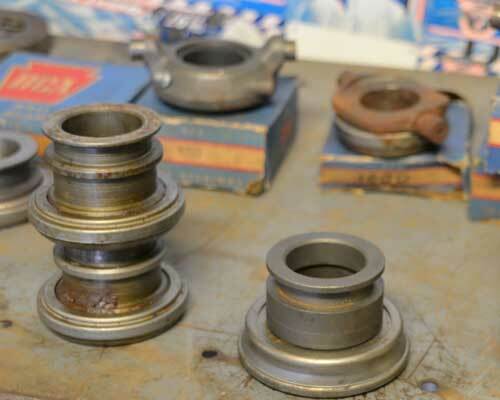 No brake job or restoration is complete without repacking the wheel bearings. 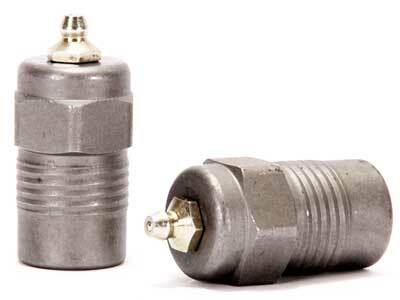 These small components support 1000’s of pounds of steel (and YOU) at high rates of speeds while holding back grease and oil from contaminating the car’s braking surfaces. 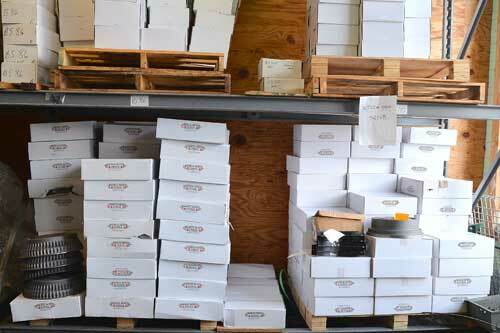 We have made it easy by providing wheel bearing kits for the front and rear of many models of American collector cars. 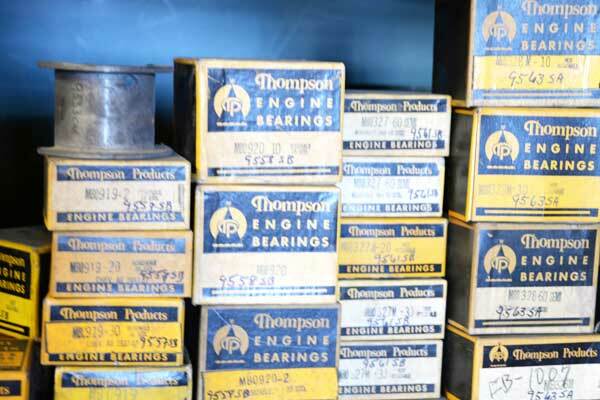 Starting in 1925 through the 1970’s, our kits include premium quality inner and outer bearings, races and seals. 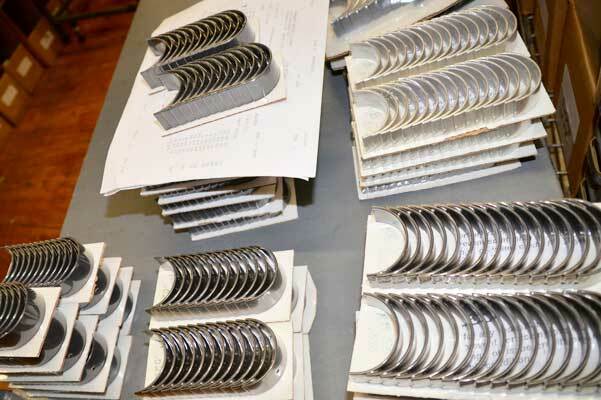 Install these parts in your next restoration with confidence knowing that you have quality parts from Rebuilders Choice. 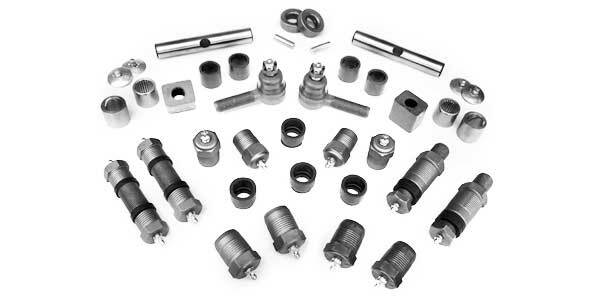 All of the parts in our kits are available individually in cases where a seal or single bearing is needed. Parking brake or as some people call them emergency brakes are often over looked. Over time road dirt, water, and other containments make their way into the sheathing and created friction between the cable and sheathing. 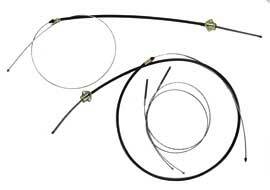 This creates friction which leads to fraying or seizing of the cable. With the majority of our early antique cars being standard shift it is imperative to have properly operating parking brake system. 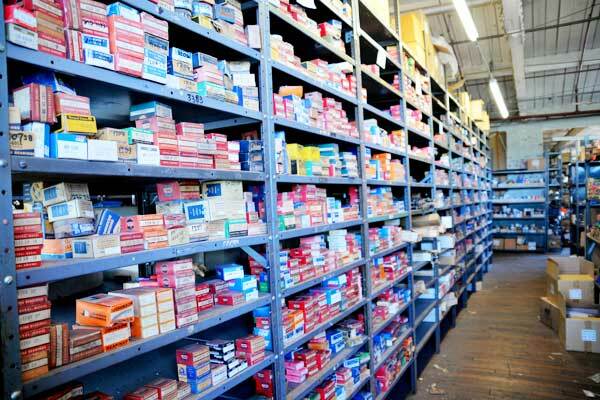 Rebuilder’s Choice carries are large inventory of cables and patterns to make them new for your next or current restoration. All of our cables are made with premium quality materials and are made to fit correctly the first time. All of the parts in our various kits are available individually or in kit form for your convenience and for maximum profits. All the products that sell are back by our lifetime limited warranty. So go ahead and install with confidence.